B.C. trades sector is confident most of the thousands of workers required to build and operate the province's first major LNG export facility will come from within the province. 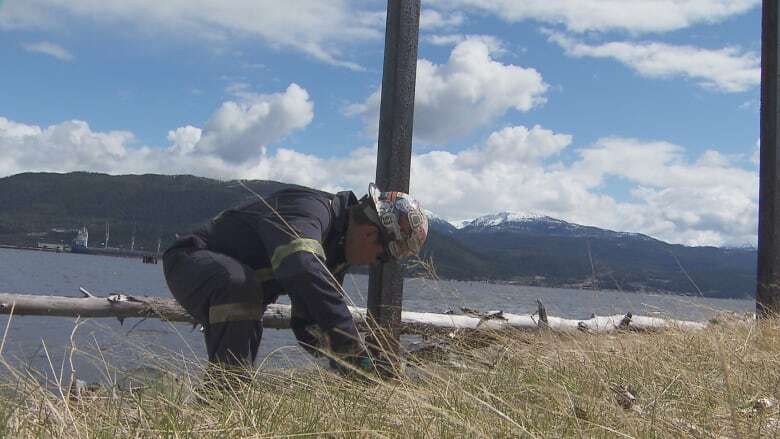 Of the $40B investment by LNG Canada, officials say $24B will be spent in B.C. B.C. 's trades sector is confident most of the thousands of workers required to build and operate the province's first major LNG export facility will come from within the province. LNG Canada's $40-billion investment in a liquefied natural gas export terminal in Kitimat, B.C, and a 670-kilometre pipeline from Dawson Creek, is expected to generate roughly 10,000 jobs by 2021. The joint-venture has agreed to place priority on local and B.C. hiring and has conditionally awarded a $620-million contract to work with Indigenous businesses in northern B.C. for the pipeline. But some critics have questioned whether B.C. has the skilled labour supply needed to take full advantage of the touted economic benefits, which the government has said are a worthy tradeoff for the increase in carbon emissions the plant will bring. Tom Sigurdson, executive director of the B.C. Building Trades Council, says the province's workforce is ready. "We may have to turn to other western provinces to get some of the trades, but for the most part I'm pretty confident that we'll be able to supply the vast majority of the skilled labour force out of British Columbia," Sigurdson said. Some temporary foreign workers with specific expertise in LNG may be required when the plant goes into operation and about 950 more jobs come into effect, he added. "I see that for the short term as being very temporary and in supervisory roles. We should be able to scale up a workforce sufficient enough that they will be able to do the plant operations." One reason B.C. is prepared is because planning for the construction boom that was expected to come with LNG started years ago when hopes were high in the province, said Sigurdson, who sat on a provincial LNG working group back in 2013. At that time, it was hoped two major LNG facilities would be under construction at the same time, and there were fears B.C. 's labour force would fall short and large amounts of temporary foreign workers may be needed. "We had a very real concern about skilled labour supply," he said. It took years longer than expected for B.C. to see a major LNG investment, but in that time labour market conditions have changed, in part due to downturns in Alberta's oil patch and in Saskatchewan's uranium industry, Sigurdson said. Over the years, various trades organizations have also upgraded skills and training programs with the hope work in the LNG sector would one day be available, he added. Of the $40 billion investment by LNG Canada, provincial officials say $24 billion will be spent in the province and the remaining billions will be spent overseas. Some of that overseas spending is expected to go toward the fabrication of the modules for the Kitimat facility in South Korea because B.C. does not have a suitable fabrication facility. "We'd much rather see it here," Sigurdson said. "The fact of the matter is we live in a global economy." Ellis Ross, the LNG critic for the B.C. Liberals and the MLA for Skeena, said he also believes there was no way around having some of the manufacturing done overseas. "There is no place in Canada, let alone B.C., that can actually build these same modules," Ross said. Outside of the direct construction jobs created by the project, B.C. service and supply companies can expect to benefit, said Dan Baxter, director of policy development with the B.C. Chamber of Commerce. "There is truly an opportunity here for the entire province," Baxter said. The project is also large enough that some people may shift to fields that are in demand as they enter and move through post-secondary education programs, said Baldev Pooni, dean of trades at Thompson Rivers University in Kamloops. Everything from pipe fitters and welders to heavy equipment operators will be in demand in Kitimat, Pooni said. "It's a huge impact on a whole variety of trades." LNG Canada has also committed to a 25 per cent target for apprenticeships, provincial officials said.